Timber frame homes are versatile, spacious and beautiful.Timber frame house plans suit both modern and classical architecture. The entire structure rests on the frame so your interior remains open and airy, giving you more living space. The timber framework is fully visible from inside, adding warmth to your home décor. Timber frame homes are built to last.There are frames more than 1,000 years old still in use today. 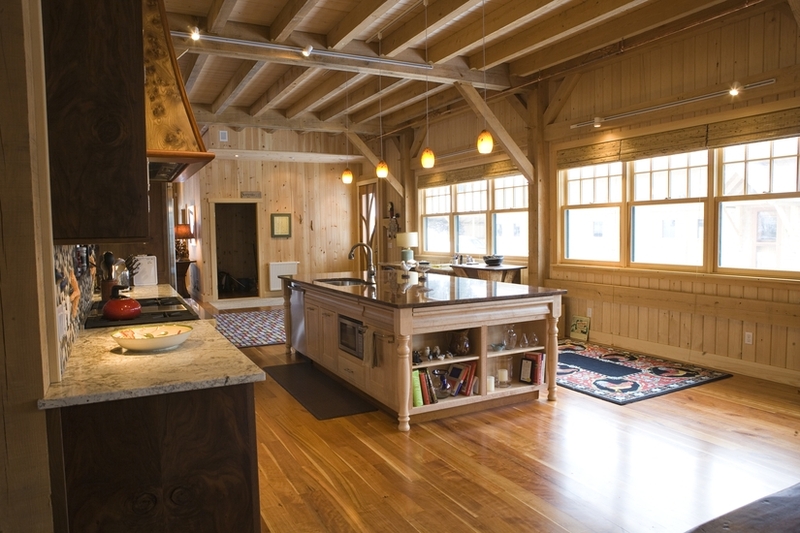 A Timber Frame home built by Sweet Timber Frames stands for generations, providing housing value that lasts. The enduring durability of timber frames is proven by time, making timber frame construction a very sustainable option. Historical timber frames still stand in Denmark, Japan, and England – some of which are more than 1200 years old. In the “New World,” timber framing was used extensively by pioneers who built homes, barns, and many structures that still stand today. If one invests in a housing system built to last 300 years instead of 30, you invest in a home that will not require additional trees to be cut down in the future and will require no additional construction waste. Timber frame homes are a lasting value – and an investment in the future of sustainability. Timber frames are strong and use less wood than conventionally built homes. Timber frame homes use less wood than conventional platform construction and can incorporate recycled timbers from other homes and barns. 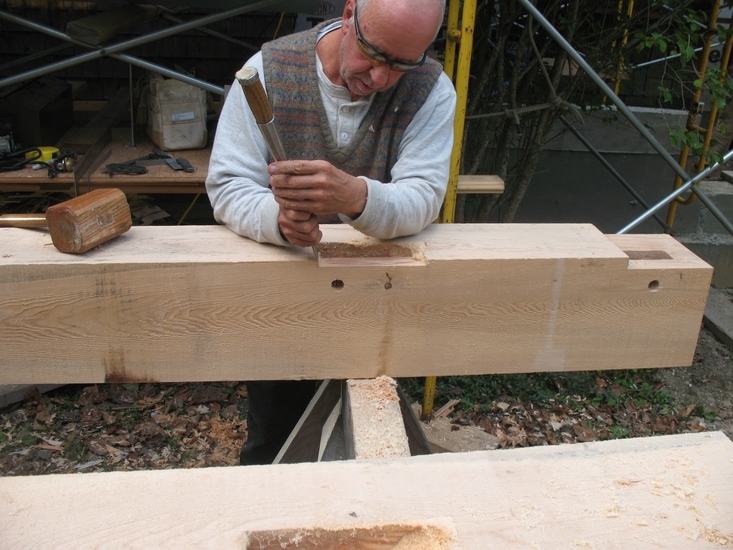 The quality of the whole timber frame system starts with the hand joinery of each timber. 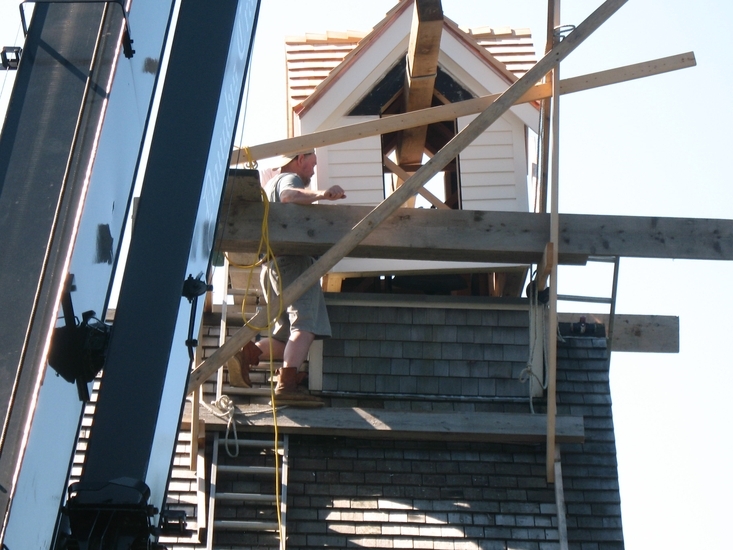 The timbers are carefully cut to join with the corresponding timber. Consider an 8×8 post standing 12 feet on center as opposed to a 2×6 stud standing sixteen inches on center. Much less wood is consumed using a heavy timber. Timber Frames are insect and rot resistant. Stable eastern hemlock is our timber of choice. Learn more about what types of wood we use to build Timber Frame Homes. Our enclosure system is designed to minimize waste – even before we start building. We understand that the home building industry today generates so much waste, enough waste to build a four foot high by four foot wide wall that would stretch from Maine to Florida. Our built-out wall is attached to the exterior of the timber frame using tongue and groove boards or sheet rock and regular 2×4 framing 24 inches on center. We understand a 2×4 makes a thermal break from inside to outside but it’s a structural compromise that will last as long as the timber frame itself. 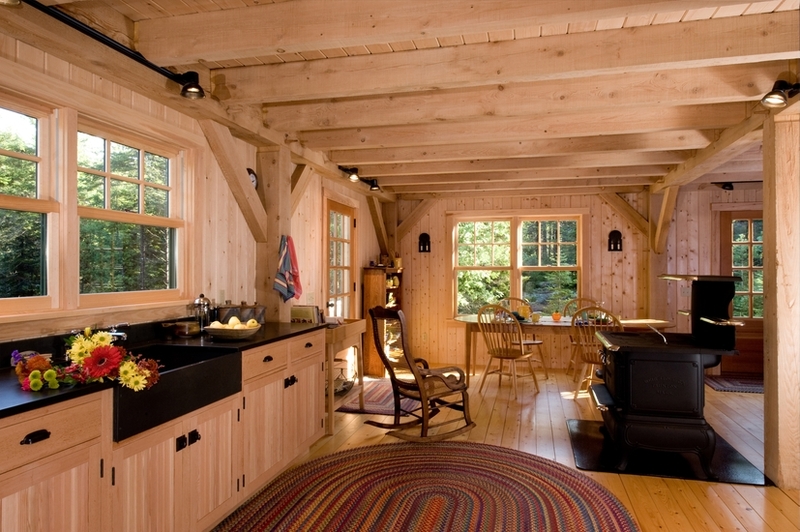 We prefer to use boards sourced in Maine (as are all timbers unless specified by the client). The boards hold the heat better. 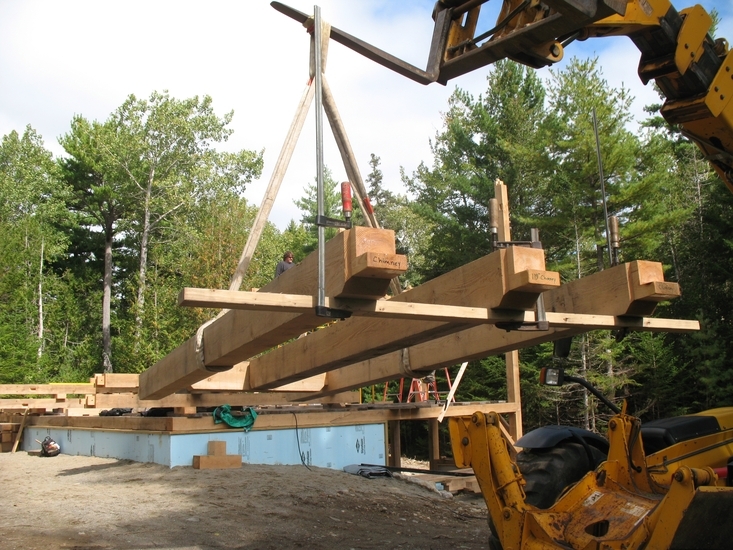 Timbers shipped across country are a huge use of fuel and a contributor to the owner’s carbon footprint. 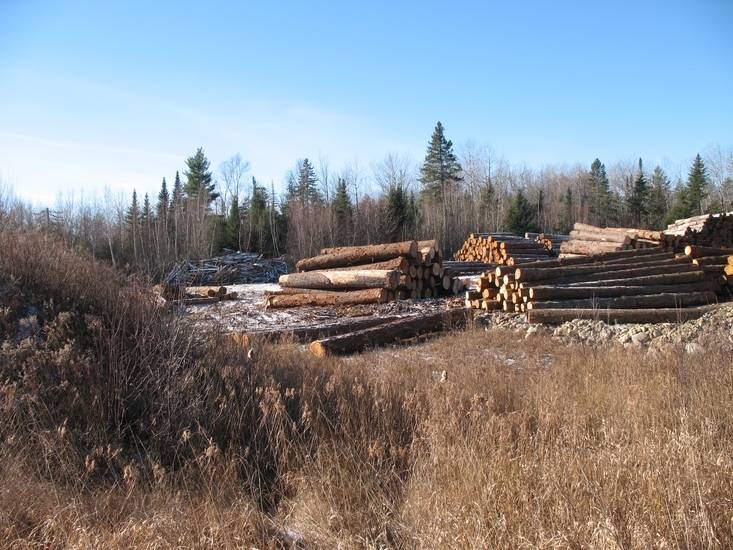 We have sufficient timber resources in Maine to build a complete home. 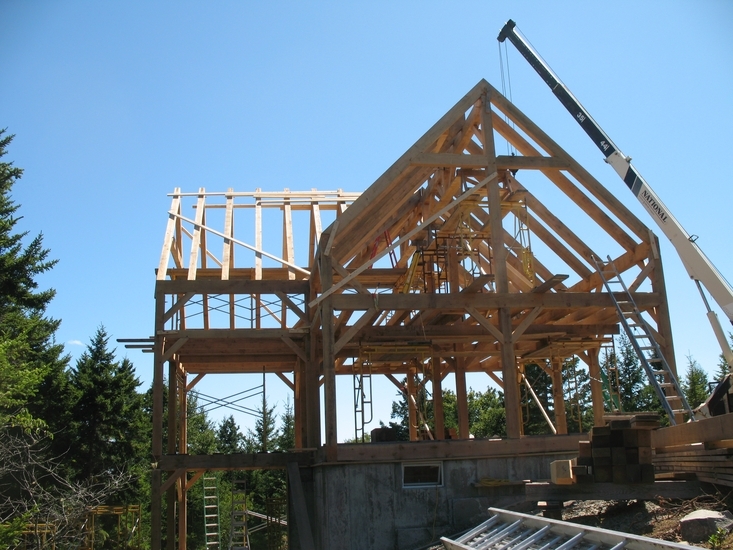 Timber frame homes are easy to warm and cool, and are energy efficient. Insulation panels surround the timbers, making your home thermally efficient. Learn about our Timber Frame Enclosures. Cellulose insulation is a 100% recycled waste product that is the least impact on the environment. In wet locations we can protect the insulation from weather because it is encapsulated. The batts are pressed into the stud bays and then covered with DuPont Tyvek house wrap. A built out wall that exceeds the standard R34, the roofs contain more insulation and exceed R40. We have also used other insulations with good results. We defer to our clients and their budget to decide which insulation product makes the most sense. Because the house is so well insulated, it is easy to heat or cool and thus utilizes less energy. This results in long-term savings for the owners. 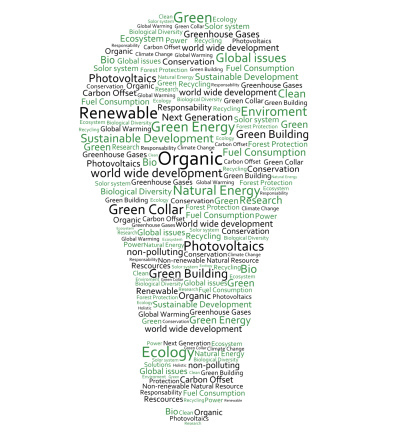 We work with contractors that provide eco-friendly systems. Sweet Timber Frames has a good relationship with local plumbing and heating contractors who are available to install the latest in heating systems. We have worked closely with them to help mount solar systems that contribute to the total efficiency of the build. The new wood gassification boilers are probably the cleanest usage of wood fuel and are the least expensive of all fuels to operate in time. When compared to fossil fuels they are most efficient. Using radiant in-floor hydronic heating system coupled with new natural gas, propane, or wood burning technology can save an owner considerable expense in time. They also contribute less carbon into the atmosphere.